Last week, as the New York Times launched its virtual reality application NYT VR, magazine editor-in-chief Jake Silverstein said, "By creating a 360-degree environment that encircles the viewer, virtual reality creates the experience of being present within distant worlds, making it uniquely suited to projects … that speak to our senses of empathy and community." (Note: the content was developed using Immersion Media’s IM360 platform and is accessible via the web, smartphones and the Google Cardboard viewer. and Nvidia Corp. CEO Jen-Hsun Huang said, "We built the premier platform for VR for both PC gaming as well as professional graphics. As far as financial is concerned, realize that the shipment hasn't really started yet and I think it's prudent to wait and see. But my expectation long-term is that VR is going to be a very powerful growth driver for us." 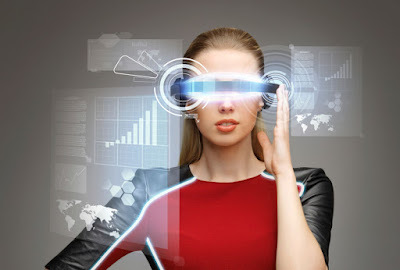 Virtual reality technology often is associated with computer games, will increasingly be applied in many other areas including education, entertainment, scientific research and communication. The complex nature of developing and delivering virtual reality content will require new types of hardware, software and content creation skills – some are in limited supply, some do not exist yet. While Facebook’s Zuckerberg and Nvidia’s Huang suggested that initial growth may be slow, the business opportunities are likely significant – and will attract many investors and innovators.